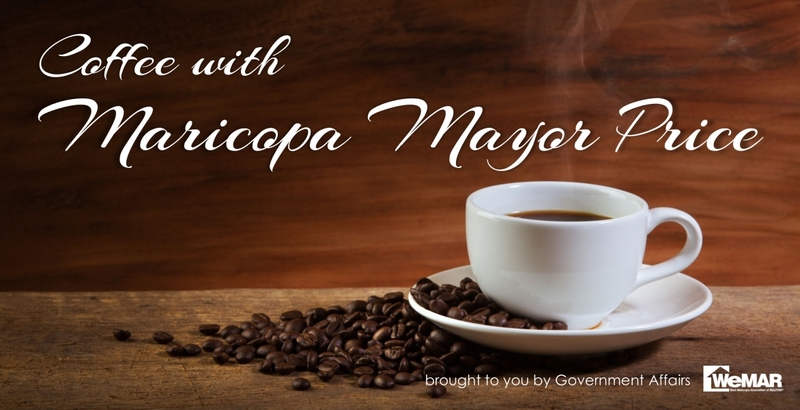 Join us for our first Coffee with the Mayor in Pinal County. Our guest will be Maricopa Mayor Price and the City’s Economic Development Director, Denyse Airheart. We'll be discussing Maricopa’s development, city plan and future. We'll learn about the Advocate Program and Mayor Price’s word of mouth campaign to let people know about this young, dynamic and growing city. Coffee with the Mayor is a free event, but we request you register to attend. Continental breakfast will be served.